Boyds, MD (April 9, 2019) – Below is an official statement from Steve Baldwin, a new member of the Washington Spirit Ownership Group. 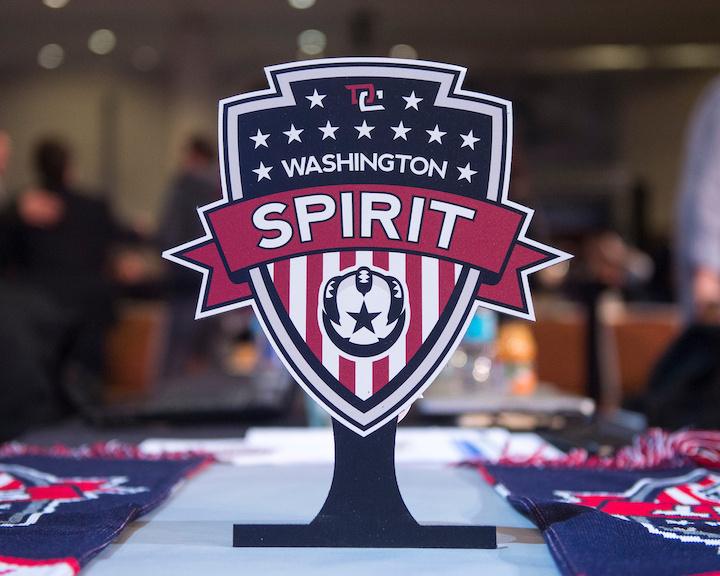 Welcome to the Washington Spirit in 2019! As I begin this journey and our opening day match is Saturday, I want to introduce myself to you, share with you the changes we are making, and ask you to join us in changing female soccer in the DMV. I come to the Washington Spirit as a father of two daughters, one that plays the game. So, yes, I am a soccer dad. Being a soccer dad, I have witnessed first-hand, the incredible dedication, passion, and commitment it takes to become a professional soccer player. I’ve seen the injuries and sacrifices, the highs and lows, the thrills of winning trophies and the despair of not. Being a soccer dad also gives me an understanding of the feelings a parent has when their adult daughter moves across the country or the planet to start their professional career with the Spirit in a new place with new people. I’m mindful in all we do that our players have soccer parents, just like me, that care most about the lives of their daughters off the pitch. I’m also mindful that our women are the best of the best. I want you to understand what I mean when I say that…..
Our women are the best in the world at their craft. They are world-class athletes and play in the best league in the world. For women’s professional soccer, the NWSL is akin to the NFL, NBA, WNBA, NHL, and MLB. The best players in the world play here and top to bottom our league is the most competitive in the world. Our women possess the best characteristics of any team sport athletes in the world. Our women are brilliantly smart, well educated, thoughtful, caring, and diverse. They are determined, passionate, and committed to excellence in all that they do. They are focused and have an incredible work ethic. They are inspirational. They are accessible to kids and they love to positively impact the lives of children. Additionally, some are mothers to their own children and are balancing parenthood while being a world-class athlete. They are the role models that everyone can look up to and aspire to be. I believe that owning a professional sports team, especially a women’s professional team, is a privilege and in these times carries with it a greater calling. For me, and my Co-Owner Bill Lynch, that calling is to transform the lives of our amazing women and impact the lives of as many kids as we can reach. To that end, and because of what I’m asking everyone in the DMV to support, I have made the commitment that when the day comes that the Spirit is transferred to a new owner, all of my economic proceeds will be donated to the Maryland Soccer Foundation. I will not take a dollar out of the club during my tenure. Bill has also committed to donating his economic proceeds to charities he supports. The Spirit has an expanded, full time coaching staff. A head coach, two assistants, a high-performance sports science coach, and goalkeeper coach. We have made significant investments in equipment and technology to maximize the development of our players. Our players are either on national teams or aspire to be. We have equipped our organization to maximize the individual development of our players to help them reach their dreams while they help us win. For the first time, our players have a players lounge. It is well stocked with amenities our players deserve. Our players have a new locker room. Our players will have bubble shelters to keep them out of the rain during matches. We have added staff to our equipment management and player support teams. We have provided apartment housing for all players that wanted it. We have contracted with a world-class strength and conditioning facility and have included financial support for individual medi-spa treatments. Our players are receiving full-time laundry service and meals with all training sessions. We are implementing programs to make our players known in our market. Our players will be seen on live TV and streaming broadcasts with NBC Sports Washington and Monumental Sports. They will be seen in other NBCSW programming. We have also invested in new staff for the production of original content that will provide much greater connections between our players and our fans. We are off to a good start and we will work continuously to improve the experience our players have with the Spirit. A better pre-game experience. Music, games, and activities for the family, an in-venue tailgating experience, earlier opening to the stadium. Our new Spirit Fan Zone is designed to do this. Theme nights. This was a big one. You asked for themes that support families, honor women, support the military and first responders, and much more. You asked for a Pride Night. You explained to us why this was important to you. Our players explained why this was important to them. We are having our First Pride Night and our celebration will be commensurate to the importance that you, our players and our organization places on having this occasion. You wanted better concessions, more variety in concessions, in-seat service, and shorter lines. We are doing all of these. You wanted to buy Spirit Gear. We have launched a new online shop for purchasing Spirit Gear and this is just getting started. You will quickly see more products, more sizes, and more ways to represent your love for our club. There will be more product available in the venue during our matches. You asked us to get more involved in the community. In short order, we will be rolling out numerous activities and events where our wonderful women will interact with our community. When it comes to impacting lives and being accessible they are second to none. You asked for a mascot. You now have one. As with what is being done for our players, this is just the beginning. We have big ambitions for what we want to provide our fans and we will work tirelessly to deliver a wonderful fan experience. Now, I want to get to my ask of you in joining us in changing female soccer in the DMV, impacting the lives of the women that play the game we love, and impacting the lives of kids in our community. Please join us by buying our tickets, watching our games, buying our gear, and supporting our team. Every dollar you spend with us will directly impact our players and our community. Bring your families and friends to our games, pack the house, and scream your heads off. Engage with us on digital platforms. As we introduce sponsors, communicate with them and buy their products and services. We will be announcing some things that are different than what has been done before in professional sports. Please understand that when we do something different, it is designed solely to positively impact the lives of our women and the lives of the kids we reach. Finally, help us in bringing the largest companies and the most powerful and most recognized women in the USA to our club and our league. Warren Buffett has a famous quote where he speaks of the shade people are sitting under today being there because someone else planted seeds long ago. I want women like Michelle Obama, Condoleezza Rice, Melinda Gates, Oprah Winfrey, Ellen Degeneres, and every female executive, every female Fortune 500 CEO to actively engage with our league and support our women. I want The Williams Sisters, Elena Della Donne, Billie Jean King, Sue Bird, Brianna Stewart, Simone Biles, Lindsey Vonn, Katie Ledecky, all of the historical figures in our game and every sport to join us and be involved in advancing women’s sports in our country. Our women are the best in their chosen field, they should be aligned with the other best women in our country. We need these great women to plant seeds with our great women, and we are working to get these women to join us. Just as we want the best women in the country aligned with our club, we also want the men leading Fortune 500 companies supporting our women, our league, and our community. These companies should be lining up to attach their brands to our women. Our women possess the greatest characteristics that Corporate America values. Help us bring these companies to our game. Ask these companies to plant seeds and help us in bringing them to our game. Contact them via social media, email them, and join me in asking for their involvement and support. Our message to our sponsors is that we will work harder, smarter, and deliver ROI results SUPERIOR to what they achieve in men’s sports – because their sponsorship means more to our women and our club. It is time for Corporate America to step up and get behind the women of the NWSL. It is happening in Europe – these same companies and others need to do it here. Join us and help us in building the best and largest soccer community in the world for women while simultaneously impacting the lives of kids. Together, our advocacy for our women and kids, will make great things happen. So, let’s do it. Thank you for supporting the Spirit. This is the start of something big! !